Betty Jo Croom Bowen, 81, of Foneswood, went to be with the Lord on Wednesday, October 17, 2018. She was the widow of Benjamin Franklin Bowen, Jr and a member of Ephesus Christian Church. She taught at Martinsville High School, King George High School, Ralph Bunche High School, Woodland Academy, and Rappahannock High School in Richmond County. She also worked at Stratford Hall as a Historical Interpreter. She is survived by a son Benjamin Franklin Bowen, III (Gayle Wright ) , daughters Elizabeth Bowen (Ronald Roberts), both of Foneswood, Mary Childress, Conway, SC and Anne Hamilton, Richmond, fourteen grandchildren, Krystal Myers, Tyler Bowen, Matthew Bowen, Michaela Jones, Jared Jones, Garrett Jones, Ryan Flynn, Tori Flynn, Abby Dodge, Logan Dodge, Ashton Wright, Taylor Janovich, Leigha Childress, and Ian Childress. Also surviving are three great grandchildren Chase Dodge, Grayson King and Aurora Dodge, her Martinsville cousins, and a host of former students, relatives, and friends. A celebration of life will be held from 2:00 P.M. to 5:00 P.M. on Saturday, October 27, 2018 at the Westmoreland County Vol. 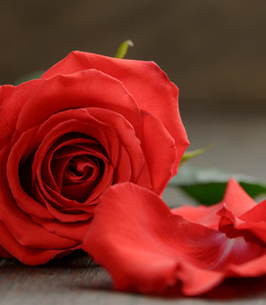 Fire Department, Montross, VA.
To send flowers to the family of Betty Jo Bowen, please visit our Heartfelt Sympathies Store. Westmoreland County Vol. Fire Dept. A Celebration of life will be held from 2:00 P.M. to 5:00 P.M. There is no sting like the sting of death, and no two people grieve the same. Please draw comfort from the Holy Scriptures such as at Acts 24:15 where God has promised that there will be a resurrection right here on earth and sickness and death will be no more. (Revelation 21:4)While you are going through this most difficult time, throw your anxiety on Jehovah because he cares for you. (1Peter 5:7) You all are in my thoughts and prayers. So sorry to see the passing of Betty Jo. Unfortunately I will not be able to attend the service as I am out of town. Love and condolences to all the family. Frank and I are so sorry for your loss of the most incredible and inspiring lady! She was my Spanish teacher and coach and later a good friend. I loved seeing her at Stratford and later at the polls. One tough beautiful soul gone now to liven up heaven!